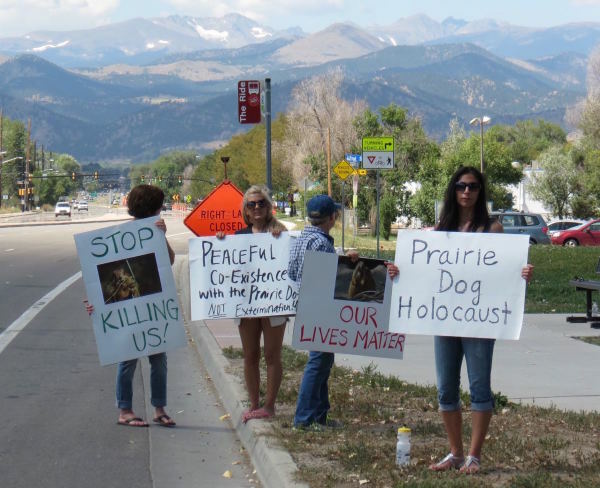 In the Fall of 2015, advocates from Prairie Protection Colorado discovered, through a ​​​ local article , that Naropa University had applied for a "kill permit" of a very healthy and beautiful prairie dog colony on their campus in Boulder, Colorado. We immediately got to work to stop this atrocity. 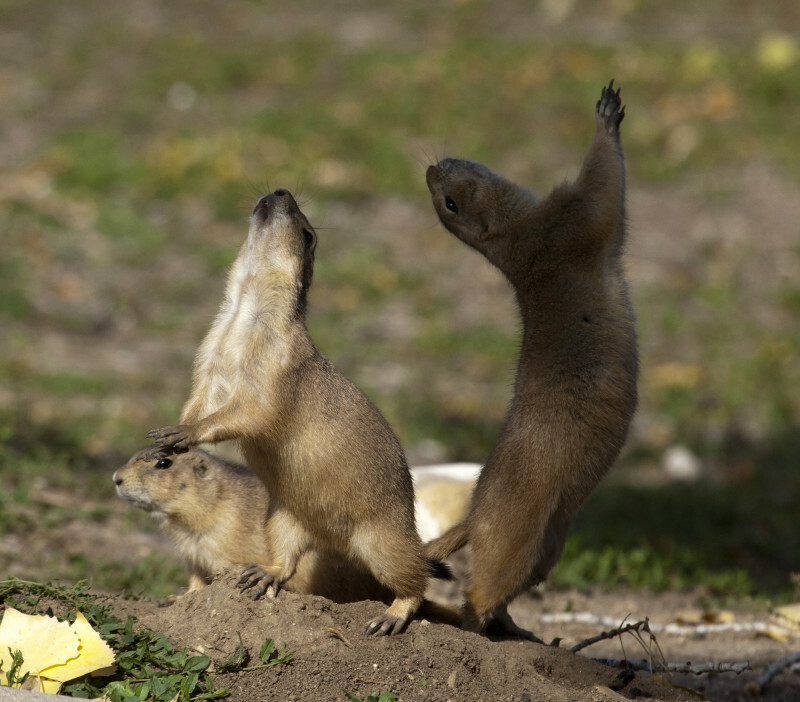 About 20 of us held a protest on the site of the Nalanda campus and got to know these cute prairie dog families. They were friendly and spoiled by all of the love that Naropa students had shared with them over the years and really trusted humans. This protest helped us get into the local press, and many people were immediately concerned about the contradictions of a Buddist inspired university filing a permit to kill a beautiful and healthy colony for development. ​​Shortly after the protest, one of our supporters, Poy Yee Holmes, started a petition to stop this extermination . This petition attained over 180,000 signatures and was hugely successful in getting the word out about the Naropa colony and started a wave of attention and pressure that was applied to Naropa. We delivered this petition to the Naropa staff and they still refused to pull the permit. 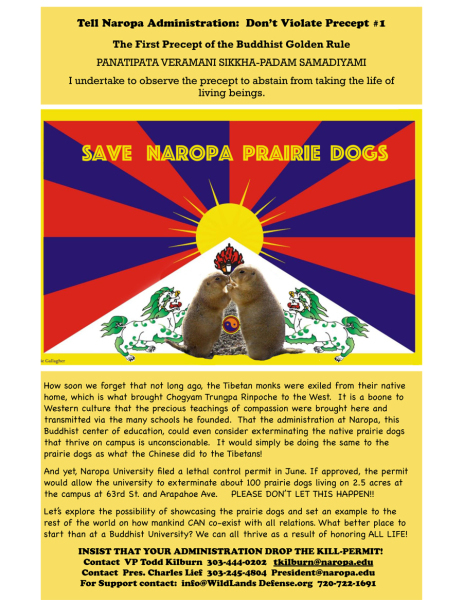 Finally, after advocates and animal lovers from all around the world pressured Naropa to pull the kill permit, the University was forced to do so and the prairie dogs are still living happily on the campus as of today. In the case of Naropa, advocates and public pressure saved hundreds of precious lives.